Lizzie Velasquez is often termed by media and Internet to be the “World’s Ugliest Woman”. Any article that is written on her would undoubtedly have world’s ugliest tag. But what exactly makes her “ugly” for people who do not know her? Is it her skin that people find “ugly”? And if it is, than what kind of a shallow world we live in, that people’s skin and weight makes a person pretty or ugly? 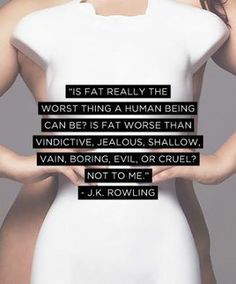 If a person is “FAT” he or she is ugly, if a person is thin, he or she is ugly. Why are people so bent on deciding how a person is or is not depending on things that do not define them even one percent? If I weighed fifty kgs more or less, if I were “milky white” or “Dark Chocolate”, would that make me a different person? I glance at those matrimonial ads and I am actually SHOCKED at the stupidity of people around me. Half the people are looking for ‘fair, homely, same caste” girl, yes..because a fair girl means a nice person..obvio! !…dark girls are serial murderers, right? Also, now can we make a pact of not judging people based on the color of their skin and their weight? I know it would not change the world, but at least even if some of us decide to look at people and get to know their thoughts, and actions, and the way they live..instead of their clothes, and skin color and weight, we could at least start and do our part in making the world a better place, right? This is so beautiful and moving. Social media has helped in many ways to promote narcissism (selfies and ‘likes’) but at the same time has helped people like anonymous bloggers to win the hearts and minds of people through their words. It’s so important not to fall for the trap of identifying ourselves with the circumstances we were born in, rather to define ourselves by our actions and their outcomes. This woman is a worthy role model. She really is…I surfed through her videos on her youtube channel, and the more I see what she has to offer, the more my respect for her grows…!